Product information "Magura MT4 Disc Brakeset 2018 front + rear"
The new MT4 is designed to give you enhanced riding and braking performance. The innovative technology provides a perfect combination of impeccable brake reliability and control. You can apply just as much or as little braking power as you require, thanks to the adjustable lever reach setting and the ergonomically-matched, two-finger brake lever. You'll enjoy your bike trails much more with this cutting-edge technology at your fingertips. The MT4 is also 100% perfect for e-bikes up to 25 km/h. 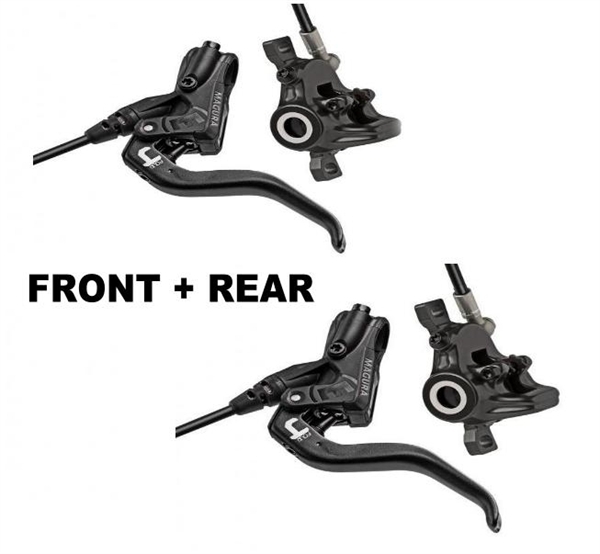 Related links to "Magura MT4 Disc Brakeset 2018 front + rear"
Customer evaluation for "Magura MT4 Disc Brakeset 2018 front + rear"